I recently finished Steven James’ latest novel, Singularity, the sequel to a book I enjoyed quite a bit, Placebo. So, how does this measure up to the last one in the Jevin Banks series? I’d say it’s just as good, if not a little better, than Placebo. Having already become acquainted with these characters, I was happy to see them grow and mature in Singularity. As a matter of fact, I’d say character interaction and development is what James does best. While the sometimes-too-long scientific descriptions took me out of the story, the terrific dialogue, humor and dash of romance made up for it. Similar to Harlan Coben’s Myron Bolitar and his sidekick Win, James has an equally compelling dynamic duo with Jevin and Xavier. And the supporting cast is wonderfully nuanced and intriguing, especially Fiona and her brilliant children. Other than the copious amount of scientific information, the only other detractor for me from the story was the amount of sub-plots. Several times in every chapter there are breaks and the reader is transported to a different storyline. I understand that this was done because the storylines eventually overlap, but if you don’t plan on finishing the book in a sitting or two, or if you stop in mid-chapter, it might take you several pages to remember what happened last and what’s happening at that given moment. To me, I really only cared about the main cast of characters, not the tertiary ones, so I think keeping only one subplot would have made for a cleaner read. 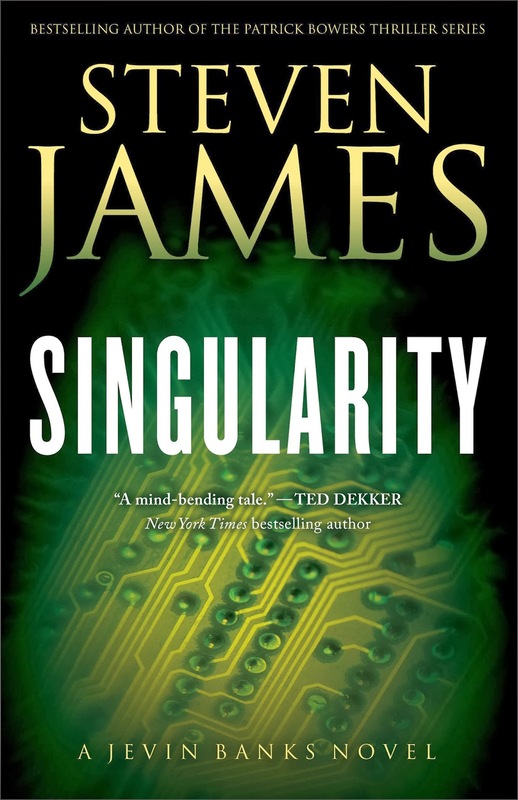 Regardless of my stylistic quibbles, Singularity is a solid novel that tells a compelling story featuring charming characters whom I’ve grown to like even more than I did after reading Placebo. If you’re not sure what to read next, give this book a shot. It’ll keep you engaged from start to finish and whet your appetite for the next installment in this promising series. Below is the book’s synopsis, and make sure to check out my interview with Steven James too.